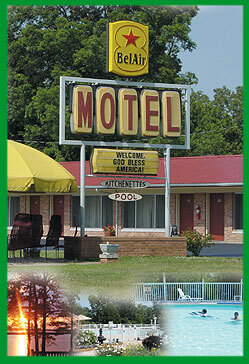 in the heart of Kentucky's lake country at Bel Air Motel. 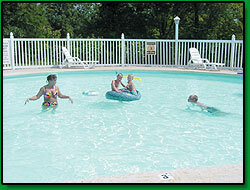 We're located near Kentucky Dam Village and we're within minutes of all the vacation fun and relaxation you could ever want! Bel Air is like a home away from home, with clean and spacious rooms, and kitchenettes perfect for the family. 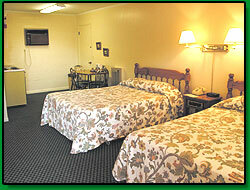 Every room is air-conditioned, fully-carpeted, and equipped with cable TV and two queen-sized beds. 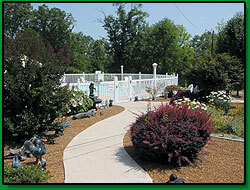 There's plenty of parking for trucks and boats, a playground for the kids, and a swimming pool for the whole family. 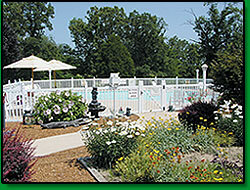 Try Bel Air for your next heartland vacation! 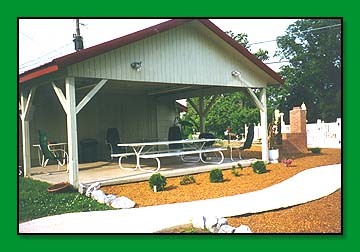 Family reunions are easy at Bel Air, with a shaded picnic area complete with tables and grills, shuffleboard and a shaded outdoor relaxation area to catch up with one another. We're only a day's drive from most major Midwestern cities. Getting to the heart of America is easy! Did you know Kentucky Lake is one of the top ten fisheries in the country? That's right! Kentucky Lake is the home of lunker large mouth, spots and the highly regarded small mouth. Known, for years, as the "Crappie Capital" of the world, two pounders are not uncommon. Other fish such as catfish, bluegill, red ear, stripers and sauger gives you a mixed bag of excellent fishing. Bring your boat (we have plenty parking) or rent one a couple of minutes away and try your hand at fishing on Kentucky Lake. and Bel Air Motel is in the center of it all! Located just off Interstate 24, two miles. Copyright � 1996-2012 Lake-Productions LLC. - All rights reserved.